The ability to transfer and hold value is intrinsic to human nature. The classic gold standard established a common denominator for countries to participate in international trade, investment, and finance. After World War II, the Bretton Woods monetary system reformed the gold standard and made the United States dollar the centerpiece of the global monetary order. This established a standard where the value of other currencies would float compared to the dollar which was pegged at 35 dollars per ounce of gold. In 1973, in an effort to give itself more monetary freedom, the United States government chose to abandon the gold standard under the Bretton Woods system. Today there are regional monetary systems that vary in stability based upon geographical location but ultimately there is an absence of a global monetary system. The globalization of our economy and the outsourcing of manufacturing has shattered the Ford Model which would pay high wages to its workers so they could go out and buy the products they made domestically. American corporations now outsource production to geographical markets where there is more cost effective labor and resources. These businesses leverage the interconnectedness of the global economy to augment economic production and surplus value. Despite these capital gains at the enterprise level, wages for middle class domestic workers have remained stagnant and the United States economy is 70% based on consumer spending. Globalization and the Internet changed the demand for domestic employment and furthermore increased the demand for imports of goods and services. The global flow of information via the Internet has created exponential growth and development for companies due to the cost effectiveness of software and different types of digital technologies. Despite these advancements, there is global economic turmoil as seen in financial crisis in Europe, the bail-in in Cyprus, inflation of currencies in Latin America, and the Great Recession in the United States. A functioning global monetary system over the internet that serves as a common denominator has not been established and is needed for the recovery of the global economy. The Bitcoin protocol, the first namespace for deregulated international transfer of ownership, will serve as a common denominator for international trade and be the single greatest technological achievement thus far in the 21st century. The technology to implement such a global monetary system has emerged through a combinational creativity of cryptography, mathematical proofs, global internet infrastructure, and failure in the security and transparency of current international monetary regimes. This new system, the Internet of Money, is a digital time stamped public ledger operated by a network of computers around the world. These computers verify peer-2-peer transactions without the need for a third party institution. Why is it that any transfer of ownership has to go through a third-party or fiat institution? What if there was a way to store and transfer any scarce asset of any amount on your own mobile apparatus regardless of geographical location? How could such an empowering technology become adopted and used by consumers and merchants to optimize trade efficiency, specialization between international markets, and ultimately increase the effectiveness of secure, transparent international finance? The core technology of this global financial platform is analogous to the HTTP protocol which is what the Internet and every social network is built upon. The intrinsic value of this new system, like many new network effect protocols, is in its user base. The network effect of this global financial revolution will augment the abilities of international small and medium enterprises to operate in a free global market. Many industries have been turned upside by the digitization of content over the Internet. Blockbuster Video was replaced by Netflix, Barnes & Nobles lost considerable market share to Amazon, and this new exchange technology has even more disruptive potential in almost every industry. 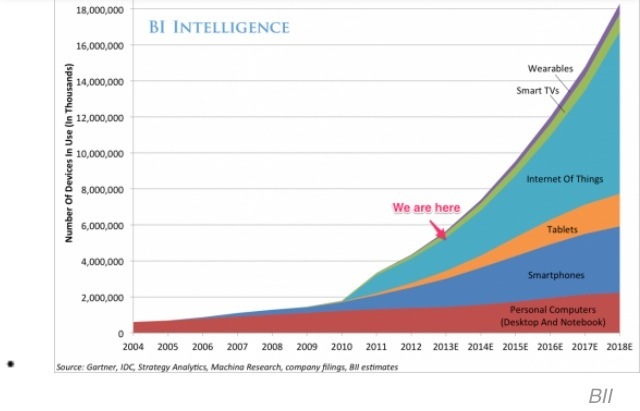 By the year 2020, there will be 5 billion people connected to the internet. These people will be able to share their thoughts, moments, projects in a globally connected world. With existing international financial regimes, the unbanked in developing countries will be unable to reap the benefits of an interconnected global economy. Bitcoin will empower developing countries to leap into a new global economy. It will also enable developed countries to find new market channels in e-commerce and furthermore increase the revenue per user in international ventures. To understand why a global deregulated public ledger will be effective for international trade, we have to look at the block chain, the core technology of bitcoin. 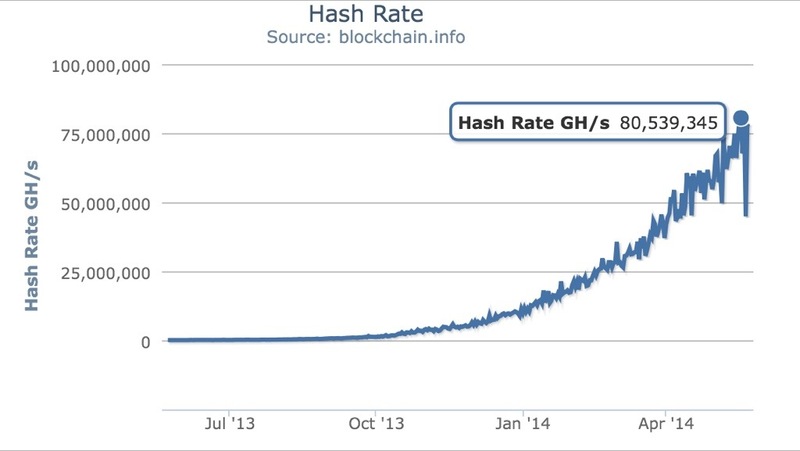 The block chain is as intrinsic to bitcoin as the HTTP protocol is intrinsic to the Internet. The block chain is a timestamp server that prevents the double-spending of bitcoin by giving computational proof that the network of servers verified the original transfer of ownership. The first application that utilizes the block chain transfer of ownership is the in form of a digital currency. This namespace for this application is Bitcoin. Bitcoin is a non-fiat digital crypto currency and payment network operated by computers around the world that verify peer-2-peer transactions on a public ledger. Bitcoin is analogous to the light bulb in relation to the electrical grid. There are much more intricate and coupled applications that are built on the electrical grid such as water systems, defense protocols, and communication networks. However, the incandescent light bulb was the on loading mechanism in what would ultimately substitute candles and transform into a digitally connected globe. The development of these other technologies happened over the course of a century but ultimately electricity was implemented and served as self-evident. The ability to move value electronically without counter parties and without IOUs and promises is very useful. Bitcoin is the first digital verifiable proof of ownership without the need for a third party institution. The current transfer system that is in place depends on a third party bank or fiat institution to know the identities of the parties involved and keep transactions hidden. This new distributed system is built on the block chain that detaches the identity of the parties involved but publishes every transaction to verify by the network of computers. These computers have be known as bitcoin “miners”. The owners of these miners are compensated in bitcoin for devoting their electricity and computing power to sustain the network that verifies the transactions. When bitcoins are “mined”, it is the process of computers combining their computational ability to solve the mathematical algorithm that verifies and timestamps a digital chain of chronological transactions over the global bitcoin network. Only 21 million bitcoins will ever be mined to keep currency to a finite amount to prevent inflation. As more bitcoins are released into the market over time the difficulty of the mathematical algorithm increases and therefore more computing capacity is demanded. The difficulty of the mathematical algorithm is determined by the computing power that is outputted by the miners. It is a proportional mathematical algorithm that allows only 25 bitcoins to be mined every 10 minutes. The number of bitcoins released when a block is mined, or a block of transactions are verified, will retain a half-life so the as it gets closer to 21 million less coins are released into the market. Miners are incentivized to sustain the network by being rewarded the newly created bitcoins released into the market in exchange for their devotion of electrical and computing capacity. So why is this the most revolutionary technology known thus far in human history? The reason is the transfer of ownership. It is a programmable way to transfer scarce resources of any kind. The true value in block chains public ledgers is that other applications that enable the exchange of scarce digital assets can be built on this protocol. These block chains could enable real time digital auctions for analog assets such as a parking spot or a share economy physical asset. Any type of transaction where party A can transfer ownership to party B without the need for party C. People connected to the internet in Africa, Asia, India, and South America will be able to participate in a global free market with a common digital denominator. The current international transactions for remittances via Western Union or other third party processors is not only inefficient with regard to time, but it also costs the parties involved higher percentage per transactions. With bitcoin, families will be able to send and receive remittances instantly over borders without having to go to a bank or payment processer. International travelers will also be able to benefit from Bitcoin by avoiding exchange rates and fees for acquiring local currency. There is no central authority or fiat distributor. As a result there is a finite number of Bitcoin therefore it will eventually become scarce and mathematically there is no way of insolvency. The intrinsic value is in the technology that enables the protocol and facilitates the distribution of any scarce asset; digital or physical. Bitcoin removes friction and barriers for the transfer of ownership. Stocks, bonds, real-estate, escrow, microloans, gambling, crowd funding and P2P contracts all will be executed on decentralized networks. The multiple block chain applications that will be developed over time have been referred to as colored coins or designated digital “smart contracts” by a new protocol named Ethereum. Ethereum is a platform, a scripting language, and ultimately a new decentralized system for developers around the world to build with. This can be any sort of deal, contract, exchange that can be mathematically expressed in code. It enables the parties to set the terms in a publicly verifiable and protected transaction. There is an even greater application that will emerge from these types of systems. This is the DAO, or Decentralized Autonomous Organization. Imagine a corporation 20 years from now that is completely automated, checked and balanced in its management by computer code, providing a service that is globally accessible. This is the DAO. An organization that relies on the network and the programmers pivoting with hacks that maximize the user experience and delegate operations more efficiently to the computer system. Developers around the world can instill Artificial Intelligence into a publicly traded corporation, a voting system, or even a manufacturing facility. The open source system will enable people to effectively build an organization with code, set it in motion, and delegate operations to machines and data servers around the world. The value in a decentralized distributed system such as Ethereum is that anyone with an apparatus verifying contracts is now an additional node on the network. Marc Andreesen of Andreesen Horowitz predicted that chip manufactures will soon start building chips that can support an OS and mine. An ever growing network of nodes, in every electronic device, verifying contracts between two people or within autonomous organizations. There will be an unlimited number of applications and organizations that are built on the block chain in the future. Bitcoin is not about price speculation. It is about the promise of the underlying technology and the effect it will have on the global economy for those who wish to embrace and develop it. Bitcoin is the forefront of disruptive technology in the digital world. It is the first application of many to the distributed consensus asset ledger. The protocol is a frictionless digital api for trading and storing scarce resources of virtually any magnitude. Is the Internet like mail, telephones, or broadcast TV? Is Bitcoin commodity, currency, property, protocol? The answer to both questions is all of the above. Many other applications of asset transfer and proof of ownership can and will be implemented with the digital signature, time stamped, public ledger(s). This is gold 2.0, the first programmable currency that lets a computer program set a transaction or series of transaction in motion. This is the first application of many that facilitate a digital exchange system that is not limited by geography. Ultimately this new technology establishes a global monetary system to replace unstable regional monetary arrangements. Since 1973, international monetary relations have been based on floating exchange rates among the major currencies. This system is outdated and needs to leverage the internet. This protocol is the answer to a new global level international monetary regime. The software engineers and venture capitalist which developed the Internet into the revolutionary technology it is today, are seeing parallels and are captivated by the potential for the applications that Bitcoin and block chain technologies will enable. It will take a couple years to develop; at its core technology by software engineers, by venture capital investments in Bitcoin startups and entrepreneurs, and by merchants and users for mass adoption. 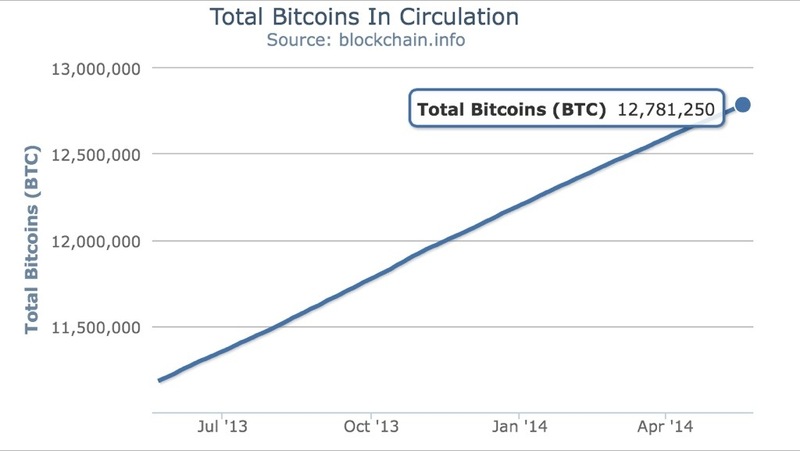 There has been a substantial amount of investment in Bitcoin in 2013 and 2014. The same venture capital interest that was surrounding the internet in 1995 is being seen around the Bitcoin ecosystem. The run rate for VC investment in Bitcoin companies is projected to double compare to 2013. It is an exciting time for our global population in a limitless digital age that continues to exponentially grow. The block chain protocol will enhance domestic trade and global flows of trade between developed and developing countries. Bitcoin is just the first application of many for new mechanisms of transfer of ownership. It can be a common denominator for global finance by leveraging the internet and its user base. This is the internet’s 2.0 version. The first stage put all of the world’s information in your pocket on a mobile apparatus. This emerging stage puts an international programmable bank in your pocket. This is the true definition of mobile, location will be irrelevant when someone wants to buy, sell, or trade and kind of asset to any other person on the globe. The network effect will ultimately be the catalyst for the price value and market capitalization, and overall growth over the next few years. This technology will revolutionize international trade and provide a new more stable and secure global economy. is just great and i can suppose you are a professional on this subject. updated with imminent post. Thank you a million and please carry on the rewarding work.